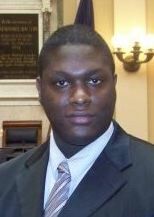 Coby Dillard is a member of the national advisory council of the Project 21 black leadership network and a founder of the Hampton Roads Tea Party in southern Virginia. He is a Navy veteran who served in the Middle East and at Guantanamo Bay. Before briefly running for Congress in the 3rd District of Virginia in 2010, he was a government contractor. He is now a political consultant.